October is Breast Cancer Awareness Month and the Estee Lauder Companies is celebrating the 25th anniversary of the Breast Cancer Research Foundation, a charity founded at Evelyn Lauder’s kitchen table in 1993 to raise awareness of and funds to fight this terrible disease. Evelyn Lauder and her dear friend Dr Larry Norton decided they were going to help change the lives of millions of women and men worldwide by funding the most innovative research. Mrs. Lauder had been diagnosed years earlier with early-stage breast cancer so she knew firsthand what these women were going through. She created the signature pink ribbon with Alexandra Penney, then editor of SELF magazine and began a crusade to find a cure for breast cancer. Sadly, she passed away in 2011, but her son, William P. Lauder carries her passion and dedication. Mr Lauder, Executive Chairman, The Estee Lauder Companies, kindly sat down with me to share some very personal memories and stories about his incredible mother and the importance of breast cancer research. Dave: What does being a Global Ambassador for The Estée Lauder Companies’ Breast Cancer Campaign mean to you? 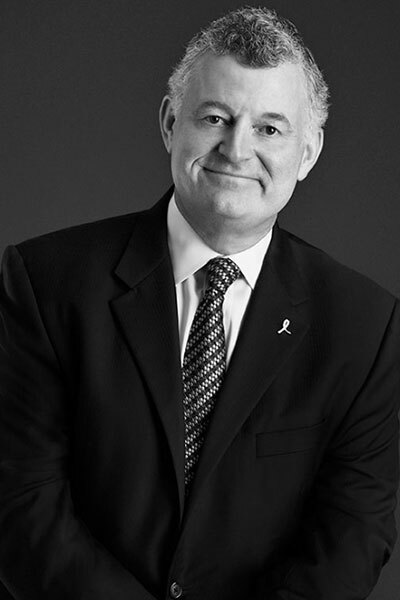 William P. Lauder: The Estée Lauder Breast Cancer Campaign is one of the most important activities we do as a total company that brings together all of our different brands. It unites us in a conversation with our consumers and our retail partners around the world in both raising awareness for breast cancer and encouraging fundraising so we can devote resources to support brilliant researchers who are helping us to find a cure. 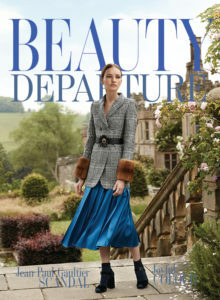 D: In what ways did your mother, Evelyn Lauder, inspire you? W.L. : My Mother Evelyn Lauder was an inspiration to so many, and I had the privilege to have been inspired by her more than most others. Her vision for the Breast Cancer Campaign and involving everybody in The Estée Lauder Companies in these efforts was really an extraordinary and transforming moment for us as a company. We came to realize it was really something that my mother brought to it which is really injecting a form of humanity into the D.N.A. of our company by involving everybody in a cause for which they can be very proud and engage their consumers in conversation about something that has great meaning to everybody. D: What was it like for you watching your mother build the Campaign from the beginning? W.L. : You know it was quite fascinating to see the passion and the effort that she put towards this cause and the imagination and creativity that she called upon from so many people to help make it grow. She was passionate, she was focused and she was dogged. For those people who had the pleasure of working with my mother and knowing my mother, they knew one thing for sure and that was she didn’t understand the word ‘no’. She was persistent in trying to get the results she wanted. D: What is the greatest lesson your mother taught you? W.L. : I think there were lots of lessons my mother taught me that (never saying ‘no’) was certainly one of them. Always be nice. Never put in writing something that you would be upset about reading later. Those were probably some of the key things and of course there were the small things just having grown up being her son but she helped me be who I am today. D: Did you and Evelyn ever work together? If so, what was that experience like? 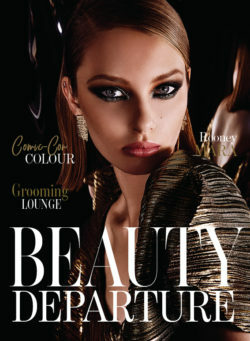 D: How has your role with The Estée Lauder Companies’ Breast Cancer Campaign evolved over the years? W.L. : I’ve always been a great supporter of the campaign and the program, I’m very active in supporting our efforts around the world and I can’t tell you how many times I’ve circled the world on behalf of the company and our Breast Cancer Campaign to promote it. I think probably the most extraordinary trip I took to support the Breast Cancer Campaign was in Morocco for the designer fragrances global meeting and I had to get to Shanghai. To get to Shanghai from Morocco, I had to drive an hour to Casablanca airport, fly to Paris and change planes and Paris, and fly to Shanghai. All told, I departed Morocco went to Paris, landed in Shanghai the next morning and that evening I was in black tie on The Bund with Elizabeth Hurley and a lot of other V.I.P.’s lighting the Oriental Pearl Tower. So I woke up in the desert in the north of Africa and twenty four hours later I was on the other side of the world. D: What is your goal for the 2017 Breast Cancer Campaign? W.L. : The Pink Ribbon really got started because my mother asked the question why is it everyone’s wearing the red ribbon for AIDS, there’s a lot of AIDS awareness, yet there are four times more women who are affected by breast cancer then there are anybody, men and women, who were affected by AIDS and why are we not talking about this disease in this way. So the inspiration for the pink ribbon was really how do we raise awareness for breast cancer in a manner that’s similar to the way awareness is being raised for AIDS. I remember when I first wore the ribbon somebody came to me and said well I’m so sorry’ and I said ‘well why?” and he said ”well, you’re wearing this ribbon” and I said “yeah” and he replied ”well doesn’t that mean you have AIDS?”. And I looked at him and I said you know this isn’t a scarlet letter. In fact, it’s not red, it’s pink, and it’s really meant for breast cancer awareness and you should know if you see somebody wearing a red ribbon all they’re doing is saying they’re raising awareness for AIDS. It’s not a scarlet letter that indicated you are diseased. He was not the most well informed person, but I tried to answer him in the most respectful way that I could. It’s a very important part not only of the by-product of the campaign now 20-something years later but of society as a whole if you think back to twenty five years ago many women were embarrassed to say that they had the disease and that they were being treated for the disease. My goal is that we, in the Breast Cancer Awareness Campaign and the Breast Cancer Research Foundation, eventually go out of business. I hope we will find a cure in our lifetime so that we no longer have to worry about the deadliness of this disease. 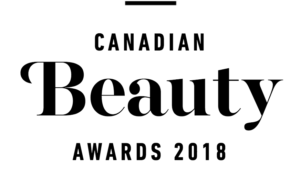 Or your can purchase of the following Estee Lauder Pink Ribbon products where a portion of the proceeds will be donated to the charity. 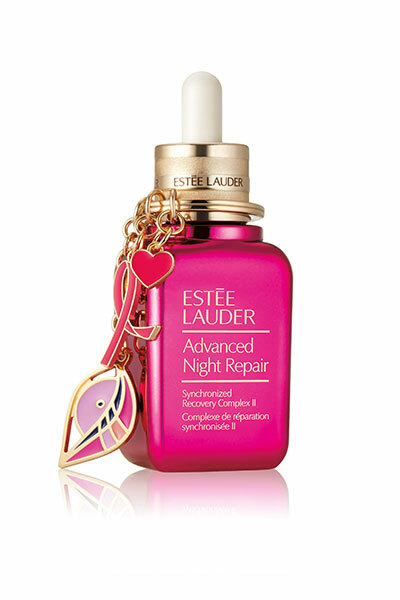 Estee Lauder’s number 1 repair serum is a seriously good formula that works to help skin repair itself while you sleep. It works on all skin tones and all ages. This limited edition pink bottle includes a 3-charm pink ribbon keychain that is adorable. 20% of the retail price goes to the BCRF. 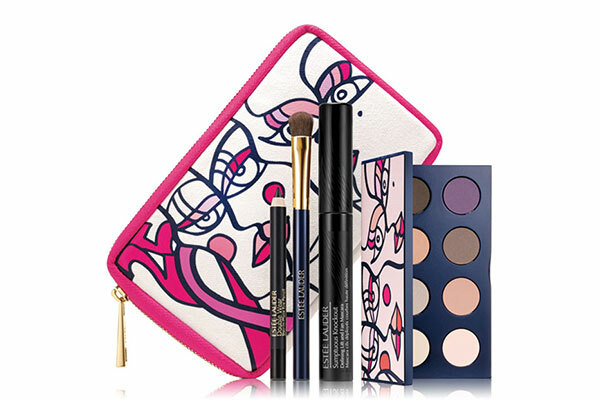 This Pink Ribbon 2017 design-themed zip around canvas makeup bag contains an eyeshadow palette featuring 8 Pure Color Envy eyeshadows, a full-sized Knockout Mascara, eyeshadow brush and mini Double Wear Eye Pencil. 100% of the suggested retail price will benefit the BCRF. 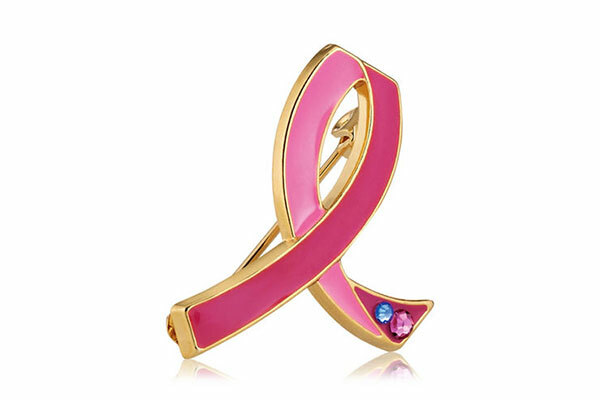 The Commemorative 25th Anniversary Pink Ribbon Pin was inspired by Evelyn Lauder who founded the Breast Cancer Research Foundation in 1993 to prevent and cure breast cancer. 20% of the suggested retail price will benefit the charity. Lovely read so glad I found your blog ! It’s so nice to be reminded of the history of the pink ribbon and the awareness brought by it through the Lauder Family. What a beautiful and informative interview. I did not know that there’s four times more women affected by Breast Cancer then there are anybody, male or female effected by AIDS . Great story, very nice interview Dave!